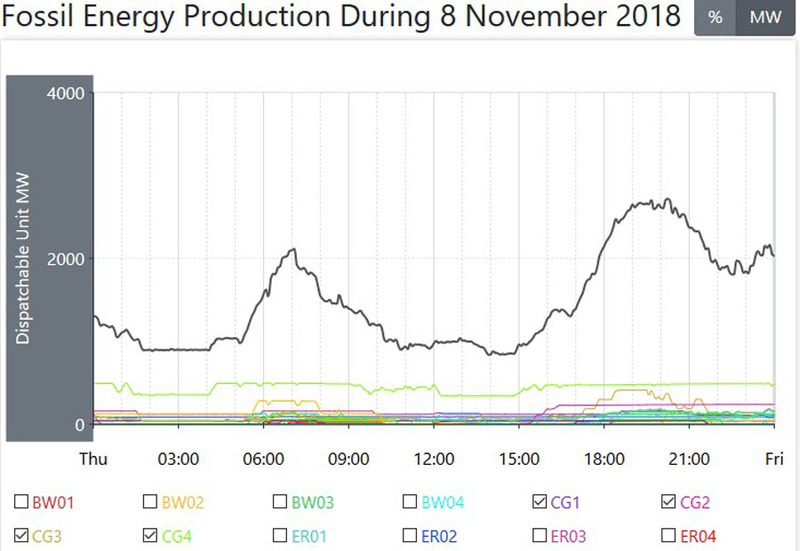 Power consumption dropped on this day, and from that, so did overall power generation, down by 1300MW from yesterday’s weekly high, down to 21700MW, a fall of around 5.7%. 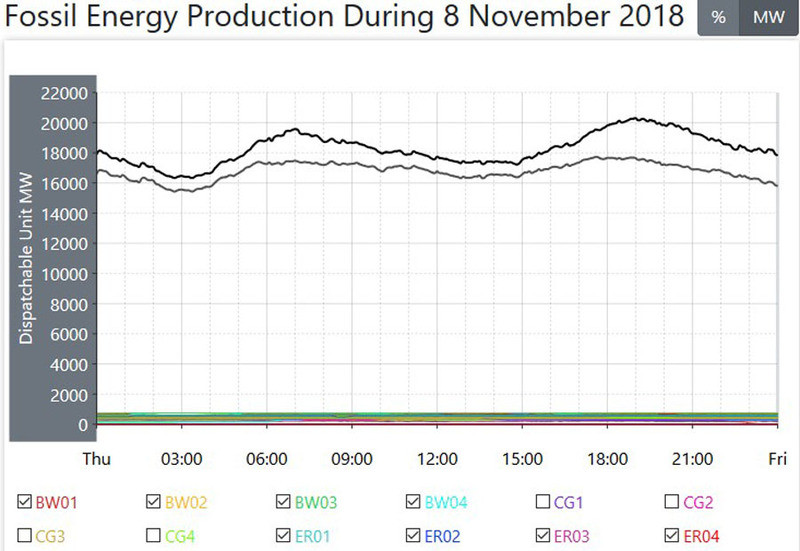 Even with that fall, it is indicative that the average for coal fired power rose by 90WM, (and that’s only a small rise of just on half of one percent) and on this day coal fired power averaged 16770MW an hour from a low of 15430MW to a high during the evening Peak of 17730MW. 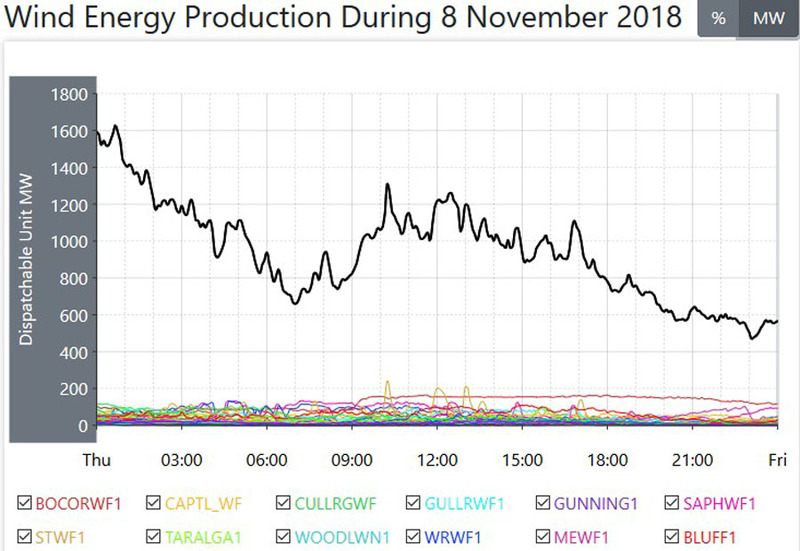 Why I say this is indicative is because that no matter what occurs with the actual power consumption, up or down, coal fired power seemingly delivers close to what it always does deliver. 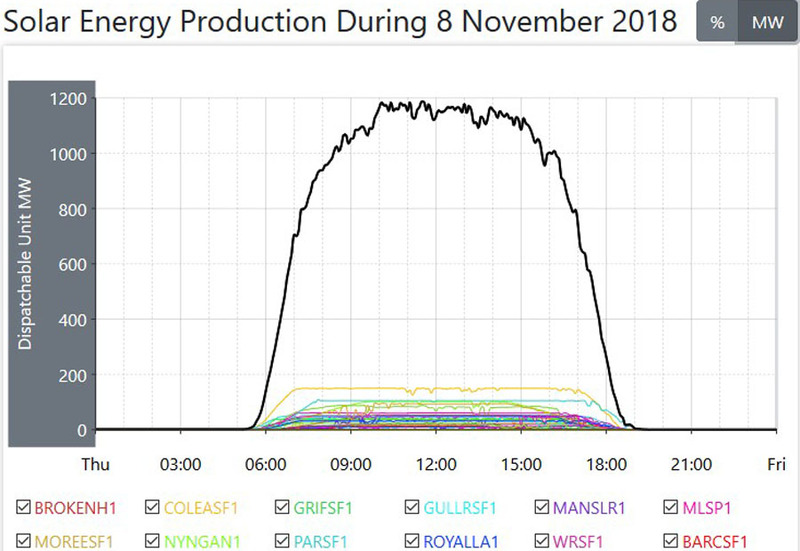 There were still nine of those coal fired Units off line. 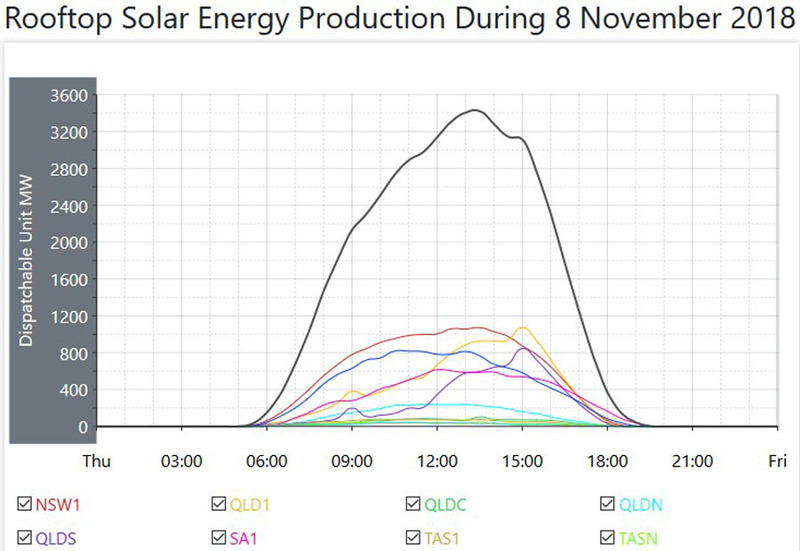 Due to the fall in overall power consumption, there were falls in every other source of power generation, excepting the power delivered from solar power plants and hydro plants, and that solar plant total was up by 170MW, but be aware that all of these solar plants only deliver an average of 450MW across the day, and that’s only just on 2% of all power required, so any rise is still only in the realms of tiny amounts of power. 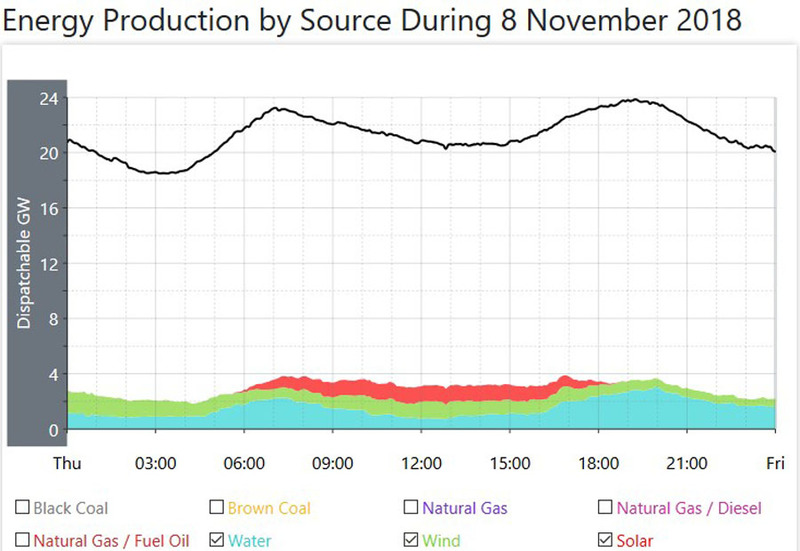 The average for hydro was up slightly, by 80MW. 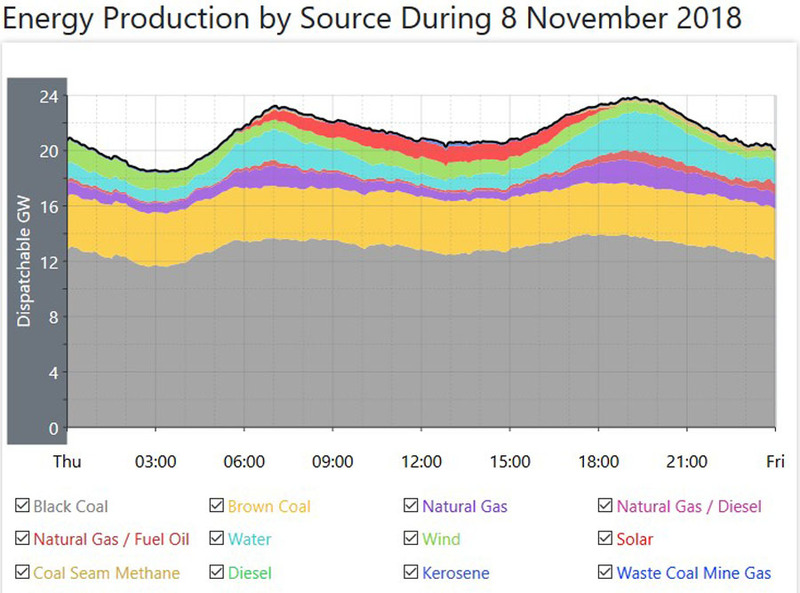 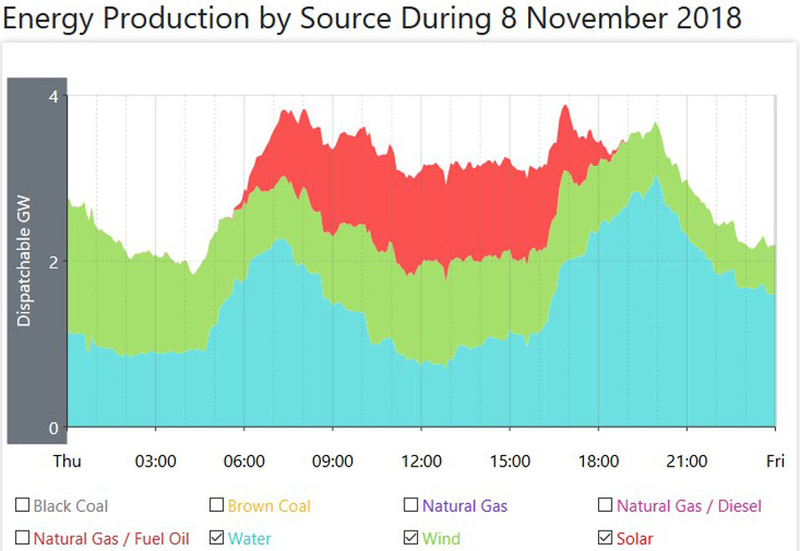 The average for natural gas fired power fell by 320MW, mainly due to smaller Demand during that evening Peak. 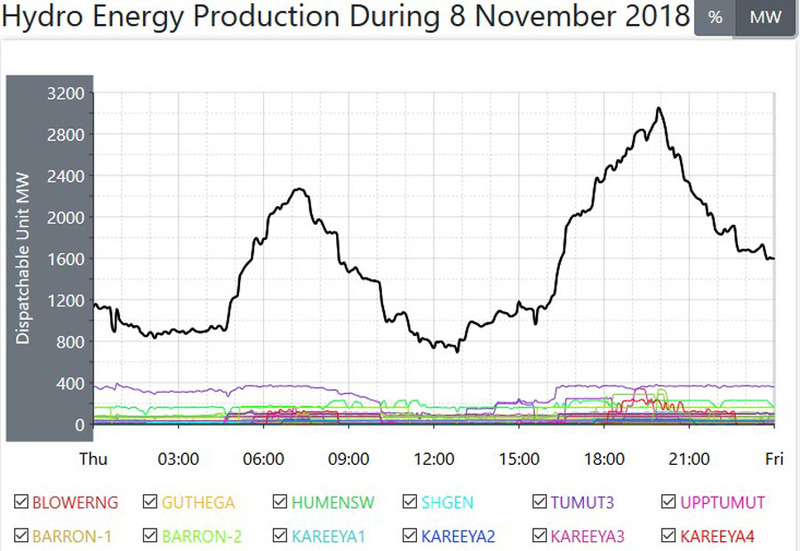 The average for wind power showed the biggest fall of the day, down by 1250MW to only 950MW, after yesterday’s high. 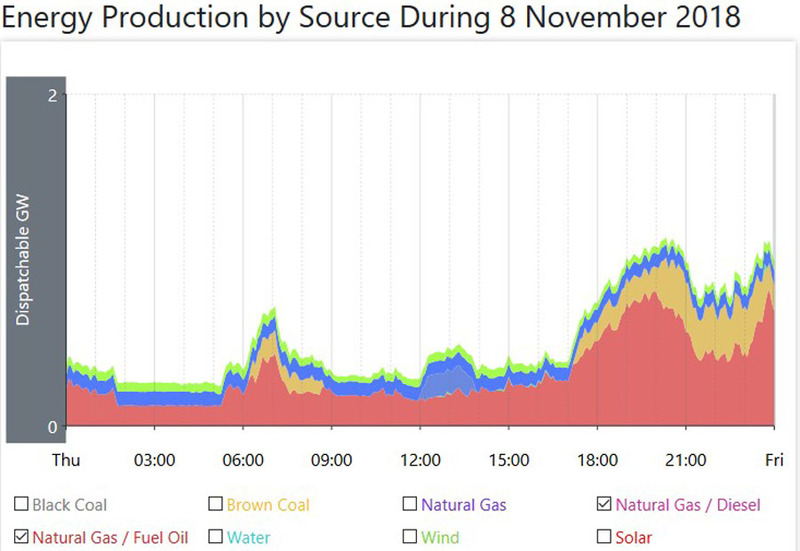 This gave wind power a daily operational Capacity Factor of 17.5%.